This Midwestern city is very pro-business and attracts entrepreneurs with its tax incentives, low startup costs, and friendly citizens. Oklahoma has a tax structure that encourages businesses to launch and grow in the state. Qualifying small businesses that create new jobs can receive up to 5% of their taxable wages in quarterly cash-back rebates as part of the state's Small Employer Quality Jobs incentive. Tulsa is right in the middle of the country, but a conveniently located airport with lots of nonstop flights makes it easy for Tulsa business owners to hop to other major metropolitan centers. 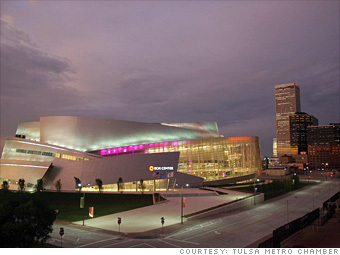 What do you think of Tulsa?